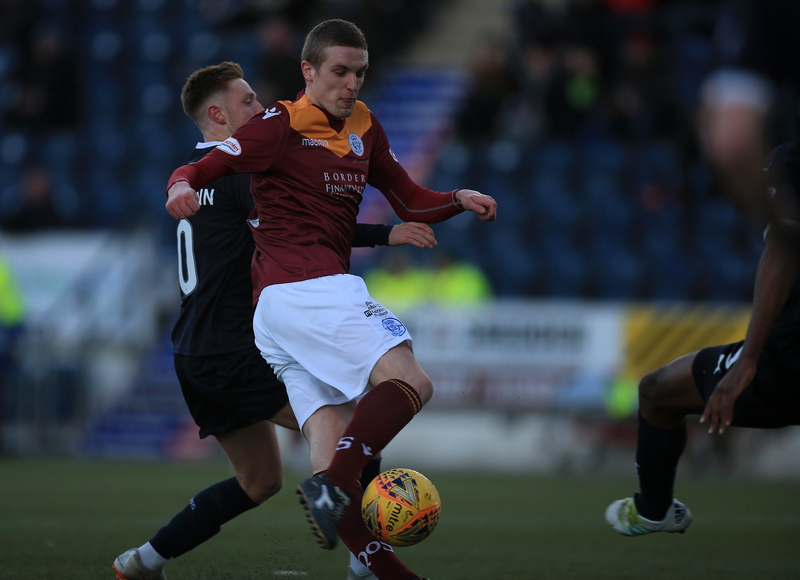 Following on from a wonderful 3-0 victory vs Premiership opposition on Tuesday, Queens were knocked back down to earth with authority, as Falkirk reversed the scoreline from midweek and beat the Doonhamers 3-0. With Mikey Doyle not appearing in the first XI for the first time this season, and Nicky Low dropping out due to injury, there were debuts for Iain Wilson and Fraser Aird. Aird was utilised on the left in the first half, and the right in the second, while Wilson was in his natural CM position. American midfielder Ian McGrath had to settle for a place on the bench. 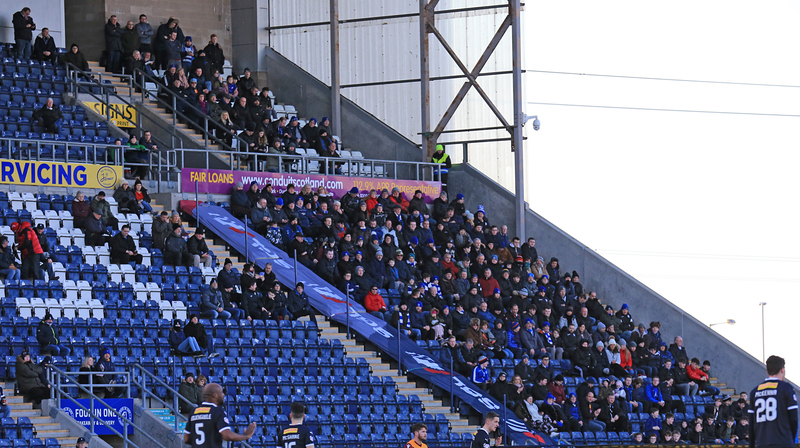 Falkirk got the game underway, but it was Queens who had the first chance. Stephen Dobbie picked the ball up 25-yards out and struck a volley that was saved by the impressive Harry Burgoyne. But after just seven minutes it was the Bairns who took the lead. Paul Dixon was spared space on the left-hand side, before putting the perfect ball into the box for Davis Keillor-Dunn to glance a header past the helpless Alan Martin. Falkirk?s midfield trio of Ian McShane, Paul Paton and Abdul Osman was suffocating the game completely, not allowing Queens to play. Despite the Doonhamers? best efforts to switch play regularly, Falkirk were being disciplined at the back, not affording the south any space. The Bairns? tactics didn?t make for a good game of football, however, as proven, it enables them to grind out results to help them try and beat the drop. A rare misplaced Barry Maguire pass was cut out by Deimantas Petravicius, but his cross was just too powerful for Zak Rudden to get his head onto. 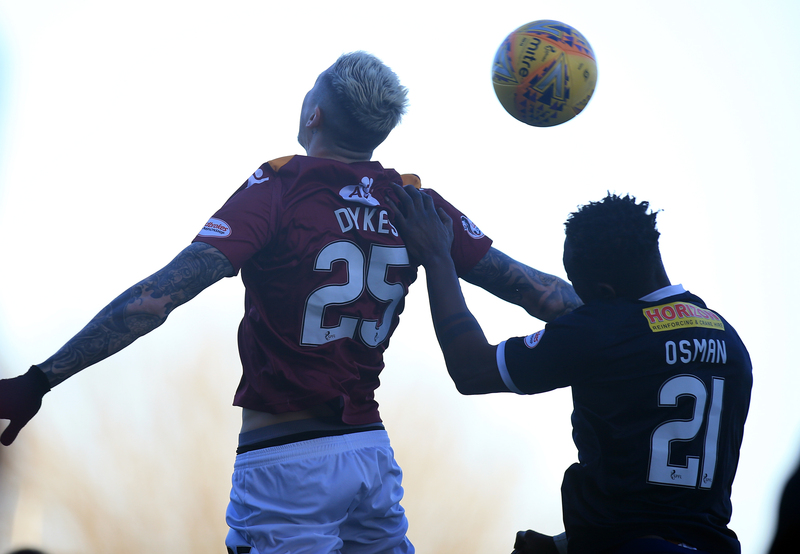 A minute later a defensive error from Falkirk let Fraser Aird put a ball in for Lyndon Dykes, but the Livingston bound Aussie wasn?t able to direct it into the corner, as Burgoyne made a comfortable save. Birthday boy Aird and fellow winger Andy Stirling were looking the likeliest to create something, in what was overall a pretty downbeat first period. Aird had a strike from 25-yards that was too high, before playing a neat one-two with Dobbie, but the Canadian couldn?t direct his effort on target. Good play down the Falkirk right allowed Petravicius time to take three touches unchallenged in the box, but his volley flew well wide of Alan Martins goal. Keillor-Dunn was the next man to try a volley in the box for the Bairns, but his effort was too high. A rather dull first half came to an end with Falkirk in the lead. Neither team were playing particularly well, and while Queens had more of the ball and more shots, it was Falkirk who had the better chances. The second-half began in the same vane. Queens weren?t able to cut Falkirk open, and the Bairns looked good on the break. A miscommunication between Martin and Maguire afforded Rudden a shot, but Martin done well to recover and parry the ball out for a corner. 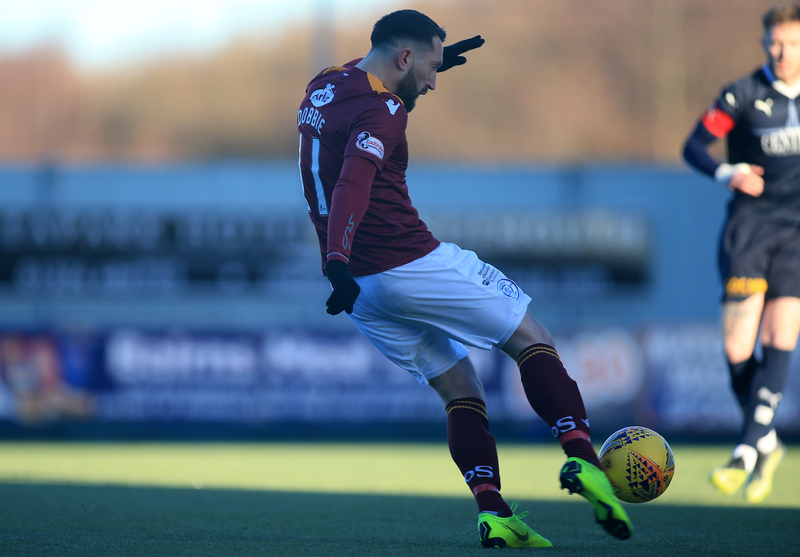 Just two minutes later Martin and Callum Fordyce had a miscommunication, as Fordyce looked to play the ball back to the keeper from his thigh, unaware that Martin was chasing the ball down himself. Luckily for Queens, Fordyce?s pass rolled wide of the goals and it went out for a corner. Kyle Jacobs and Iain Wilson, who are both naturally defensive midfielders, were being forced to attack more, and it almost paid off. Jacobs was able to ghost past the Falkirk midfield, before firing wide. Just minutes later Wilson done the same, playing a ball to Scott Mercer who?s deflected cross fell to the Kilmarnock loanee. Wilson?s shot was blocked, after looking destined for the bottom corner. 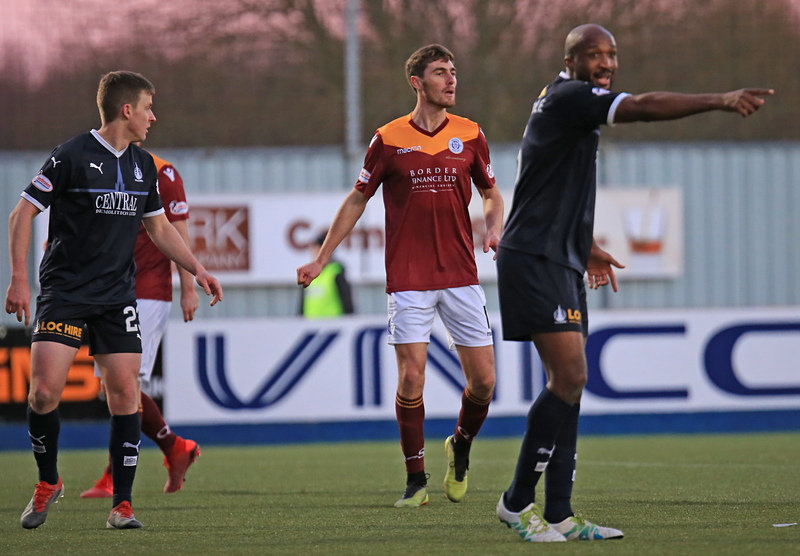 Although after just 64 minutes, Falkirk were able to double their lead through debutant William Edjenguele. The towering defender was able to get on the end of an Ian McShane free-kick, powerfully placing his header past Martin. Falkirk continued to suffocate Queens in the middle third, and it was working. 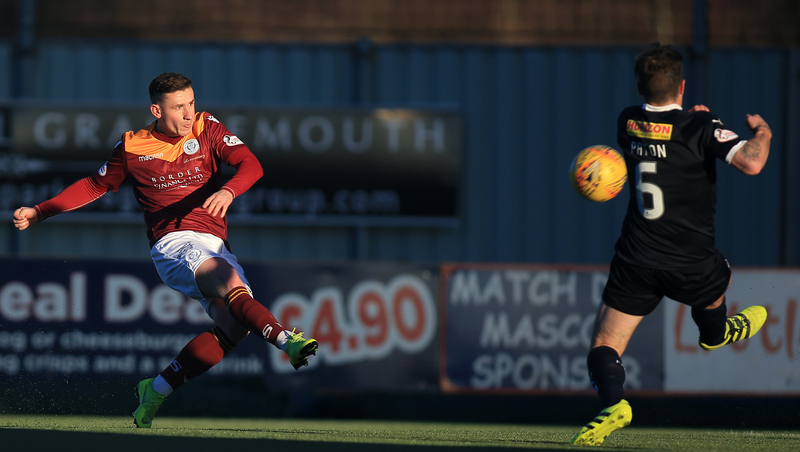 Dobbie and co were limited to efforts from range, that Falkirk were able to get bodies in front of and block. However, after 72 minutes Queens were handed a lifeline. 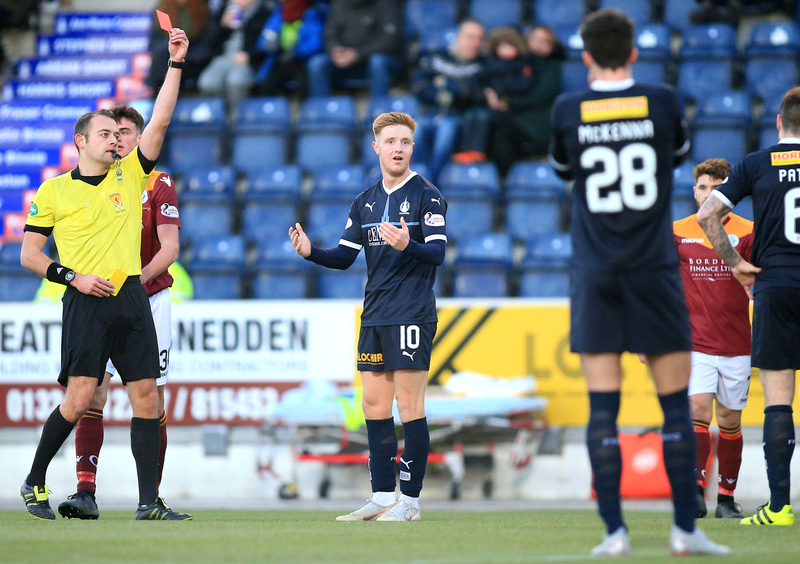 Keillor-Dunn was booked in the 71st minute for kicking the ball away at a Queens free-kick, before a second booking followed just a minute later as he took down Maguire who was charging into the Falkirk box. To quote Arsene Wenger, ?It?s always difficult to play 11 against 10 away from home?. And Wenger was proven right here. Just five minutes after the sending off, Falkirk scored a third. Jordan McGhee found himself in a forward central position, before a ball to Petravicius left the Lithuanian 10 yards out with just Martin to beat, and he made no mistake slotting the ball into the bottom right corner. 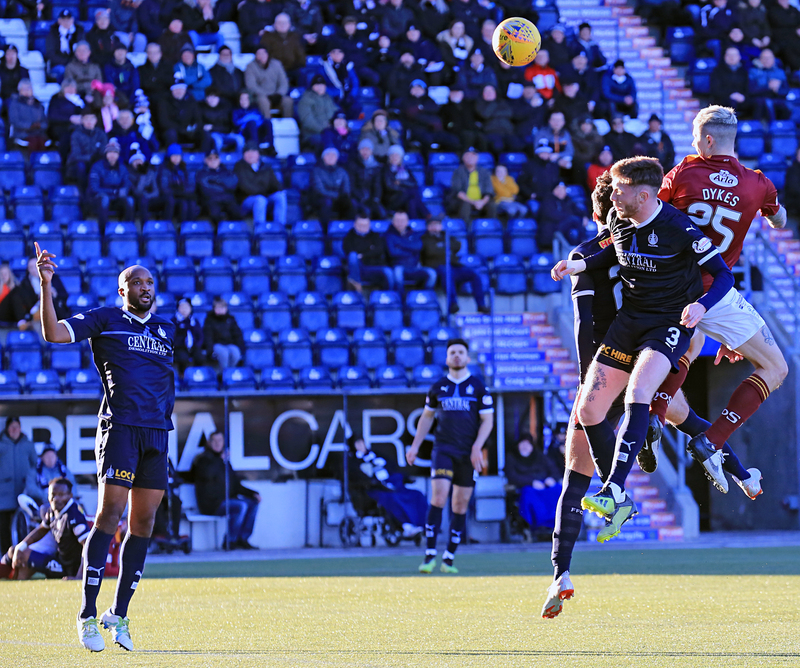 The third goal all but guaranteed Falkirk all three points, but the visitors never stopped plugging away. Dobbie?s volley from eight yards was well saved by Burgoyne, before Stirling?s curling effort was caught by the keeper. Ian McGrath was thrown on in injury time but he wasn?t able to affect the game greatly in a short space of time. A late Jacobs effort wasn?t enough to grab Queens a consolation, and Queens lost by three goals for the first time this season. The only saving grace for Queens today was that Inverness lost, as did the three teams directly below Queens in the league. This means Queens remain 5th, just three points off Inverness who are 4th. Remarkably, Queens have only lost 3 games in 14, with the losses coming to the bottom three sides in the Championship. If that doesn?t sum up the nature of this league, nothing will. Queens are in action in the cup again next week, as they travel to Aberdeen for what will be an exceptionally hard tie. The last three meetings between the two have resulted in a win apiece, with a draw at Pittodrie coming in 2012. Of course, the most famous meeting between the sides was that memorable day at Hampden Park, when goals from Steve Tosh, Paul Burns, Sean O?Connor and John Stewart were enough to overcome a brace from Andy Consodine and a goal from Barry Nicholson. A reminder that the game is on SUNDAY 10th February, with a 3:30PM kick-off. The game is also live on BBC, however the boys in blue will need all the support they can get as they go searching for a place in the quarter-finals.